Could you move the line that connects Corse to Nice just a bit? The top end of the line is really close to the Provence/Nice border, and I'd like it if the line were a bit more centered on Nice, not so close to the border. Actually, I think I'd like it better if you just redrew both of the lines from Corse, to make them take a bit more of a direct path. I think that would look better than the ones you have now. Other than that, no complaints from me. It looks good. I tried to give more "space" without moving all armies. Their initial position correspond to the actual position of the main city of that region. XML sent to Forza AZ for checking. ---The France 18th Century Map has reached the ‘Final Forge’ Stage. The map has passed rigorous gameplay and graphics examination, and major concerns have been addressed. If there are any other current concerns, please make your voice heard. 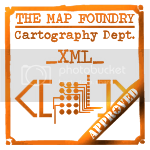 If after a reasonable amount of time there has not been any objection or protest, the map will be deemed finished with the 'Foundry Brand' of approval and will be submitted for live play. As long as there is still discussion or posts that have yet to be commented on, the map will remain in Final Forge until said discussion has reached the conclusion that the map has reached its final and polished version. XML has indeed been cleared... when I get a chance I will stare at the army coordinates before stamp the code, then if there are no additional issues that come up I'll send it upstairs. I know it was a 50-50 vote and that you had to make a decision but I still think the region names on the main map are a bad idea because they make the map too cluttered as it's already very busy. 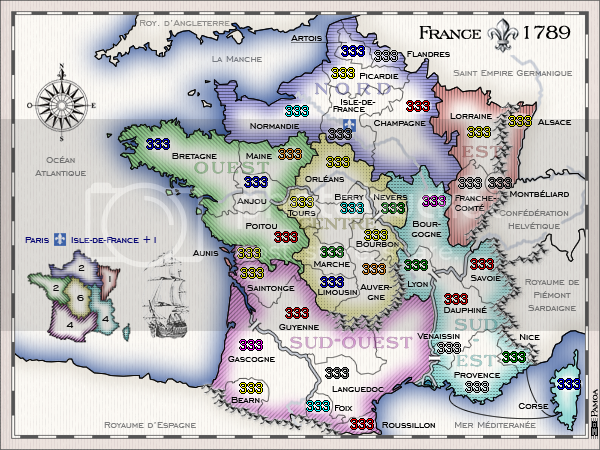 Also I'd shift the fleur-de-lys of Isle-de-France a bit higher so that it does not connect with the army numbers. I have a couple of questions about the map coordinates you've chosen. First, Berry: it's good on the large map, but on the small map you've separated the count from the territory name quite a bit, I'm guessing to work around the region name. I might err in favor of putting the army counts in the more logical places since they are referred to during every turn ofevery game, and the region names only occasionally. The next is Auvergne - was there a reason the army count is so far north and the title so far south, when there's nothing but white space in the center? Same can be said for the Champagne army count... basically, I think the map reads better in the southern half where you've kept the counts and titles closer together. A few of the counts in the north seem to be floating. The name on "Poitou" is closer to the army count below it than it is to its own - casual folks like me could mis-deploy. A line from Aunis to its count might not hurt either, like the one you did up north. I guess you've done about all you can with those little territories, and nice work keeping everything from bumping the borders. As for Ruben's comment about the region titles: personally I prefer the region names on the map itself - it makes for easier play - but it may be the case that you can put some of the army coordinates in better positions if you took the region names off. Or, just don't worry about letting the numbers bump into the region names a bit. Venaissin: on the small map its not very clear that the border of that territory is under the army count... but maybe thats just because they are 3-digit armies? Riazor wrote: Venaissin: on the small map its not very clear that the border of that territory is under the army count... but maybe thats just because they are 3-digit armies? i think it is a great map but the red on the downrightside doesn't really fit the map. Forza has cleared the code, and I can live with the coordinates. If there are any additional concerns please state them or else this is being put before the monkey. bonobo`s son wrote: i think it is a great map but the red on the downrightside doesn't really fit the map. true that... amazing how a simple error can go completely overlooked. wow, awesome looking map, hope to be playing it soon. yeah, it really is a sweet map. clean, bright, sharp, attractive. bravo! oaktown wrote: true that... amazing how a simple error can go completely overlooked. Sorry guys you are wrong in modern spelling "île" is written with an ^ atop of the i. It stand for the old french spelling I used here "isle". very good - i stand corrected! I smell a quenching coming soon. Nice work as usual, Pamoa.